On October 17, 2012, the US Attorney’s Office for the Southern District of Mississippi announced that two former police officers for the Jackson Police Department, Monyette Quintel Jefferson and Terence Dale Jenkins, pleaded guilty to accepting bribes for accepting bribes from an FBI undercover agent. Former officer Anthony Ricardo Payne is still awaiting trial. 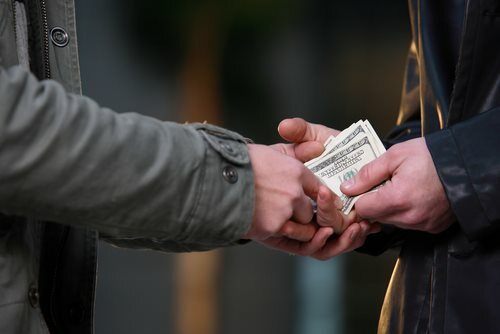 The bribes relate to protecting drug transactions. On June 10, 2010, Jefferson met with the undercover agent. He believed the agent was a drug trafficker and agreed to protect a shipment of 100 kilograms of cocaine being flown in on an airplane to Jackson. Jackson and Anthony Ricardo Payne met with the undercover agent at the Metro Center Mall on June 25, 2010, the same day the shipment was supposed to arrive. Later in the afternoon, Jefferson traveled to the Hawkins Airport in his patrol car and met with the undercover agent in the parking lot. At about 3:55 p.m., another undercover agent met with the first undercover agent and bought 20 kilograms of cocaine. The first undercover agent paid Jenkins $5,000 for his protection, and Jenkins then followed the undercover agent to another transaction along Interstate 20 in Jackson. At 4:10 p.m, Payne drove his patrol vehicle to the parking lot of the airport and the undercover agent proceeded to do the same drug exchange as before. The undercover agent gave Payne $5,000 for his assistance, and Payne traveled to assist with another transaction on Hanging Moss Road in Jackson. The undercover agent traveled back to the airport and gave Jefferson $6,000 for protection during both of the transactions. Jefferson and Jenkins are scheduled for sentencing on January 7, 2013. They are subject to a maximum penalty of 10 years in prison and a $250,000 fine. Payne is scheduled for a trial on November 6, 2012.